Piercings are becoming more and more popular in today’s society. In fact, about 14% of Americans said they had piercings in locations besides their earlobes in 2015. Because of the increasing popularity, you may be finding yourself wanting a piercing yourself. Getting a piercing can be a scary process for some people, so we’ve compiled a list of a few tips to help you make sure you get a piercing you’re happy with. Do yourself a favor and don’t let your friend pierce your nose with a sewing needle. Having a trained and experienced professional piercer do your piercing is the best option. And while those kiosks in the mall may seem like a good option, heading to a tattoo shop will give you the best experience. Tattoo parlors know and follow the proper protocols when it comes to sterilization and these piercers have to undergo specific training in order to pierce. Because of this, you can rest assured you’ll be in good hands with a professional piercer. In choosing to go to a tattoo shop, you’ll minimize the risk of infection and know your piercing will be done right. Piercing jewelry does more than just look pretty in your body. Choosing a low-quality jewelry may increase the risk of complications with new piercings. The piercer will make recommendations based on where you’re getting pierced. They’ll consider the size of the area and how well it will fit on your body. From there, it’s up to you. 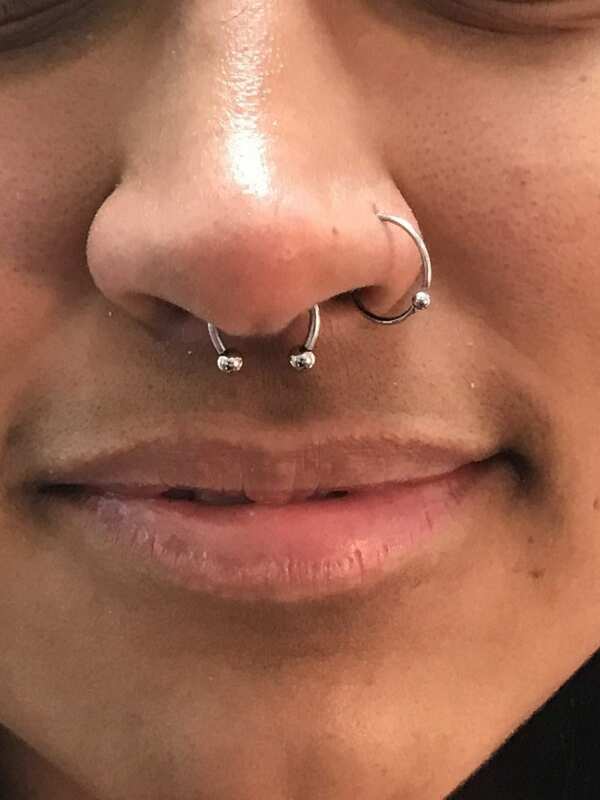 It’s important to remember that you’ll need to leave the new piercing in for about one to three months depending on which type of piercing it is. Because of this, you should pick something that will be comfortable leaving in for a long period of time. Overall, it’s best to choose jewelry that fits well with your body and will allow for proper healing. While piercings aren’t permanent like tattoos, it can still be an intimidating process. This is especially true if you’re getting a slightly more complex piercing, like a nose ring or daith piercing. Because of this, it’s important to ask any questions you may have. This applies to those getting their first piercing as well as those who already have piercings. It’s important to feel comfortable and relaxed during the process, so express any concerns you have before the piercer gets started. They’re there to give you a positive experience, so don’t be afraid to ask questions! Hopefully, this article provided some useful tips to help you prepare for your upcoming piercing. Just remember, if you go to a professional you feel comfortable with, you’ll walk out with a new piercing you love. Next:How Can a Daith Piercing Alleviate Migraines?